Client skills are people skills: how to save half of your training budget! In the last few months we have been working with clients on training core skills. What do I mean by this well a short story might explain. Late last year a client was telling me about his goal was to get his account managers to become better people managers. In particular he wanted them to coach their teams more effectively. My response was that this should be easy. If they are trusted advisors to their clients they already know how to connect socially, ask powerful questions, check assumptions and engage action– all the skills a good people manager needs. Great account managers know how to ask questions that deepen the client’s understanding of what will work in their company. When the client is asking for the impossible they know how to describe why it won’t work in a way that doesn’t offend. And great account managers draw out the assumptions the client is making and sometimes challenges them to ensure the campaign is successful and of course they are excellent at getting the client to agree actions. My client was excited about framing his leaders’ role and skills in this way, recognising that he would gain more acceptance for what he was asking them to do with their teams. The advantage of developing these skills together is that when people practice the skills in different context they deepens neural connections in the brain. We describe these type of skills as core skills that is the skills that people in a client facing business need both with their client and with their colleagues and team. The interesting thing though for me, and for some of the clients we have been working with recently is that these skills are rarely approach in the way described above. Traditionally they are approach from a skills development point of view as different. They are trained and coached in different contexts and rarely is the link made that they are essentially the same. But why? The advantage of developing these skills together is that when people practice the skills in different context they deepens neural connections in the brain. Making it easier to remember the new skills and creating an embodied sense of how to use them in more than one context. Here’s an example of how we have been doing this. We define with the client the core skills in their business context. That is the skills that people need with clients and with internal colleagues or team members. Than we design a development programme that has participants learning about and practicing the skills in multiple contexts. The closer you can make the context real for people the more powerful the learning. So for example with one client we had people practicing asking powerful questions with colleagues about how they build client relationships and then in a rehearsal for a client meeting. In another example we had people practice rehearsing a difficult pitch; making social connection and agreeing action and in a simulation with a team member who was having some performance difficulties. There’s strong scientific evidence for the effectiveness of this approach. A recent study has explored the “flexible hub” theory 1 of the brain in relation to transferring skills. “Flexible hubs are brain regions that coordinate activity throughout the brain to implement tasks – like a large internet traffic router,” suggests Michael Cole, author of the study. By analysing activity as the hubs connected during the processing of specific tasks, researchers found unique patterns that enabled them to see the hubs’ role in using existing skills in new tasks. The process, known as compositional coding, allows skills learned in one context to be re-packaged and re-used in others, shortening the learning curve. By tracking and testing the performance of individuals the study showed that the transfer of these skills helped participants speed up their mastery of new tasks, and use existing skills in a new setting. Too often we segment learning into buckets; a programme for improving performance with the team, another programme for improving client relationships. A third programme for self-development. 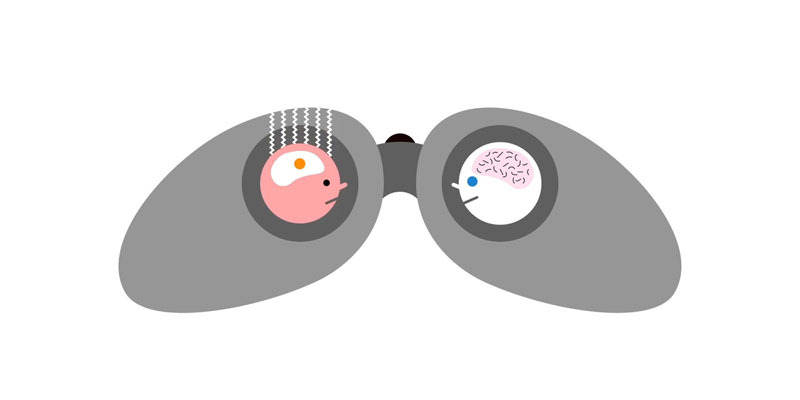 Are your leadership programmes taking account of the flexibility hub in the brain? What we have been doing instead is taking a holistic view about the core skills leaders that can be applied in all sorts of situations. Like the examples above, we often use the same skills in both client and internal situations but call them different things or learn them only in one context. And the second thing you need to do therefore is to help people get in touch with the physiology of applying skills – applying the skill comes with feelings in the body and linking the two is crucial for effectively using them. If you feel your leaders already have all the core skills they need but have learnt them in different contexts there are two crucial things you need to do to maximize their application. The first is that you have to give leaders the insight that the skills serve more than one role, or that they already have the skills to apply in the new situation. I know this sounds incredibly basic but you will be surprised how frequently people fail to make the connection. Take for example a client I was coaching. He had a bit of an issue with losing his cool and yelling at the team. He was however an extremely successful client relationship manager. Of course I asked him how he kept his cool with difficult clients. ‘Oh I use my marshal arts training.’ he said. It turned out he was a black belt and knew exactly how to manage his stress, use his breath etc. Why aren’t you using that with the team I asked. ‘Oh it has never occurred to me. I am a different person with the team. I don’t go into that mode’ was the response. Needless to say the coaching programme was short! Leaders will need to be flexible enough to adopt that physiology in different scenarios, like my coaching client and then to adopt their skills effectively. I see many leaders who have a distinctive physiology for clients and quite a different stance and body language with their own people. Getting comfortable with one that works for both is crucial. Helping leaders to be aware of their physiology, and that they can adjust it by doing this rather than that, is a crucial skill in itself. How many leadership programmes teach that insight? The other advantage of developing core skills is you save half your training budget!